Disclosure: Chewy sent a bag of Sojos Simply Wild Venison treats to Lapdog Creations, free of charge, for review purposes. I was not compensated for this review and all opinions expressed are my own. Our friends at Chewy.com have done it again... and this time it's an answer to the raw, field-fresh game that all dogs crave! 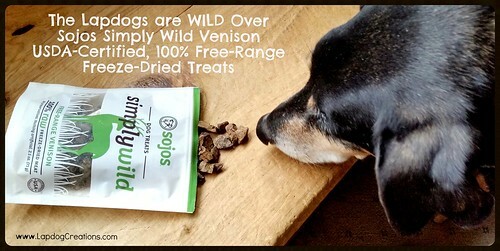 We received a bag of Sojos Simply Wild freeze-dried treats to sample this month and boy were the Lapdogs excited. As soon as I opened the bag, all three were drooling. I wish I took video because that is no exaggeration... I also wish I didn't open the bag in the morning because drool is not exactly the "it" accessory you want for your day job outfit. 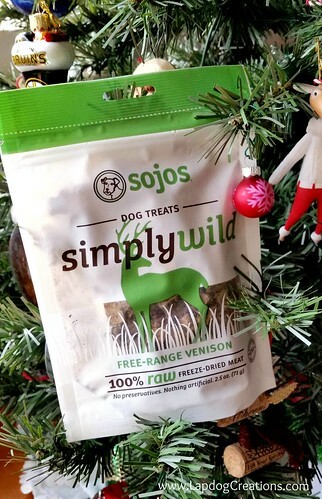 Sojos Simply freeze-dried treats are currently available in several proteins, including Lamb, Turkey, Beef, Wild Venison, Wild Salmon and Wild Boar. We received Wild Venison. Sojos Simply Wild Venison is exactly as the name implies - 100% free-range Venison. Nothing is added - no preservatives, no artificial flavors or colors. There is literally nothing in the bag except for the raw, field-fresh game that dogs crave (and Lapdogs drool for). Venison is the ultimate red meat — rich in protein and low in fat, calories and cholesterol. What’s more, it’s packed with field-fresh flavor. 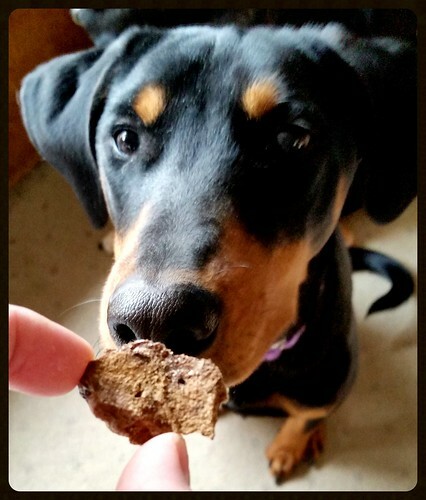 Trust me when I say, your dog will do just about anything for a Sojos freeze-dried treat! Princess Sophie, who typically looks at me as if I'm speaking Japanese when asked to sit, promptly sat - and yes, drooled... a lot - for these Wild Venison morsels. 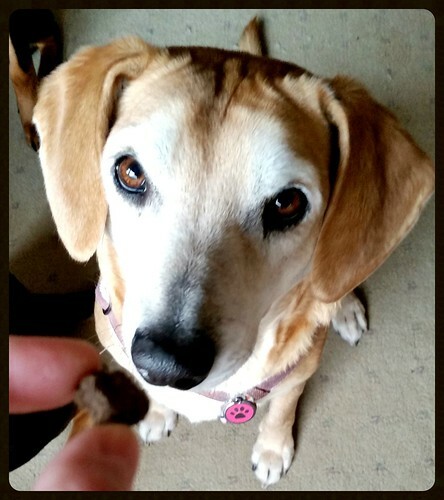 These treats aren't just designed to make your dog happy, however. I feel great giving them something that I know is good for them. 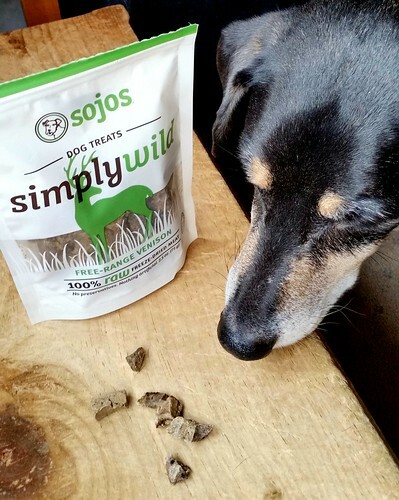 Sojos Simply Wild Venison treats are made with USDA-certified meat and are high in protein, low in fat. The natural free-range meat is gently freeze-dried to lock in all the natural enzymes, vitamins and minerals. The Lapdogs think Sojos Simply Wild Venison would make great stocking stuffers, or New Year's goodies. Grab a bag for your pup today at Chewy. And if Venison isn't their thing, remember Sojos offers several other freeze-dried protein treats. Or, try them all... after all 1-2 shipping is always free at Chewy on orders of $49 or more! My dogs recently had venison for the first time and it was VERY popular. I love treats that are just one ingredient. Yummers! We love Sojo's treats.